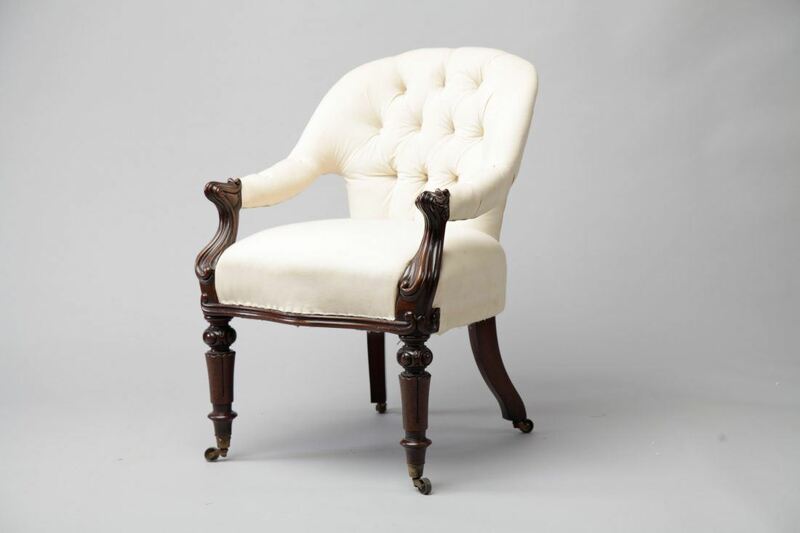 A very fine William IV mahogany desk chair with carved front arm uprights and intricate leg detail. The chair has its orignal castors and is wonderfully comfortable as it hugs and supports your back. You will require 3 metres of plain fabric or 4 metres of patterned fabric. 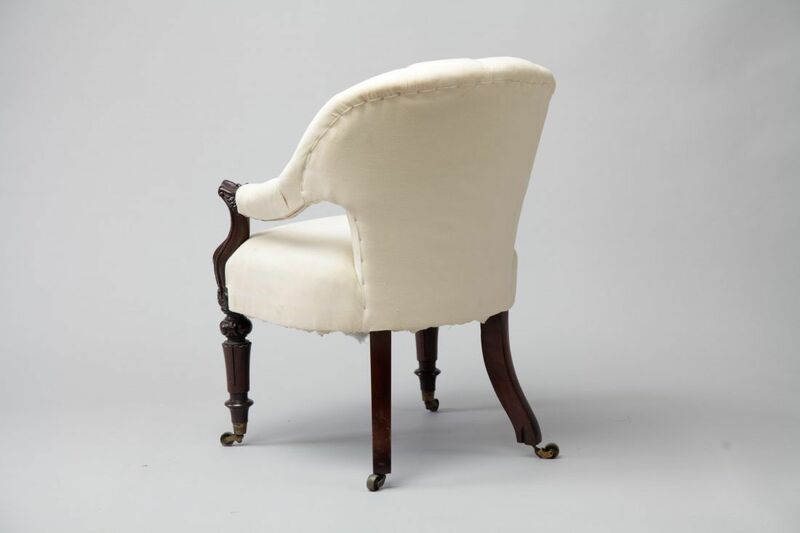 To ask a question about the William IV Desk Chair click here. We'll email you the answer as soon as possible. 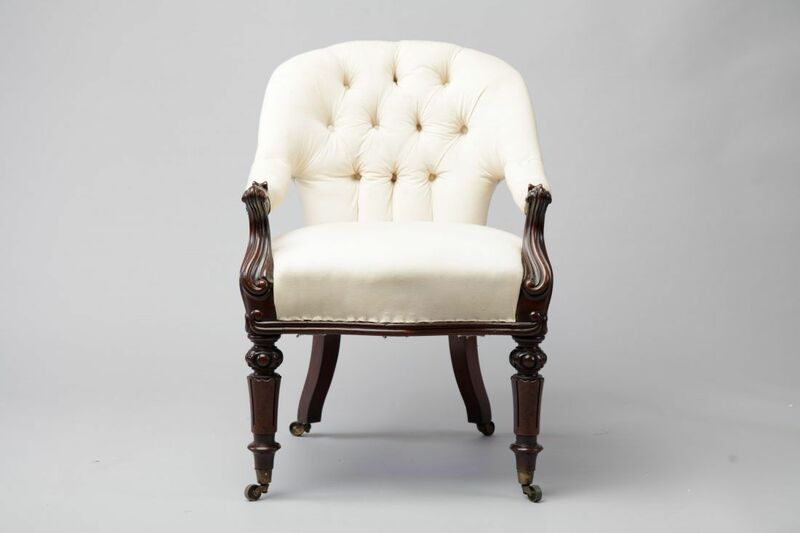 If you have a question about the William IV Desk Chair, fill in the form below and we'll email you the answer as soon as possible.